We rely on your generosity to help us to help those in need and would be delighted if you would consider making a donation. To make it easy for you we have set up PayPal and JustGiving.com accounts and for further information or to make a donation just visit our Donations page. At the Grassmarket Mission we respect the privacy of all who support us as we seek to fulfill our charitable objectives. 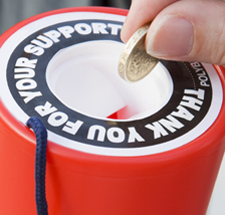 We therefore only collect information we consider necessary to help us achieve these charitable purposes. We may, very occasionally, contact our supporters for legitimate interests including promotion of our charitable aims and fundraising initiatives. If you do not wish to receive these please email secretary@grassmarketmission.org and we will remove you from our list. In particular, we do not share or sell information to any other organisations for marketing purposes.